The Safety Centre are a supplier of high quality fire alarm products based in Lancashire. The fire alarm system range from the Safety Centre includes Apollo, Morley, Gent, Notifier and many more. We stock many of these products and already supply many customers across lancs. In addition to fire alarm system equipment we can also supply fire extinguishers, access equipment, disabled refuge systems, safety signage and many more items across Lancashire. If you’re interested in Lancashire Fire Alarm Systems you may also be interested in our Fire Exit Signs and Fire Action Signs range. 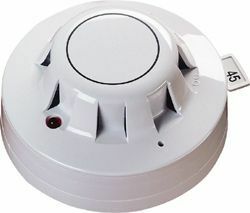 Also see our extensive range of wireless fire alarm systems.